Does Sushi Striker: The Way of Sushido perform better than the ultimate sushi master, or is it more pungent than the strongest wasabi (or my haikus)? Find out in our review, after the break! The world of Sushi Striker: The Way of Sushido has seen greater adversity than any other video game world… Sushi has become outlawed around the globe, and can only be enjoyed by those privileged enough to work alongside the empire. Even then, sushi is no longer appreciated in the world. Tuna and Salmon has been banned completely in one region, and in another it is mandatory for sushi to have way too much wasabi. It’s a total sushi abomination all due to the Sushi Struggles a long time ago. Enough is enough though. A young orphan is destined to become an almighty Sushi Striker to liberate sushi for the rest of the world and to teach the proper way to appreciate the delicate delicacy. It is time for a Sushi-bellion in Sushi Striker: The Way of Sushido for Nintendo Switch and 3DS! Before you even get to step into the world of Sushi Striker, you’ll be able to witness an adrenaline pumping introductory music video, something very similar to that of an anime series. You take the helm of a young lad or lass called Musashi where it is their duty to bring down the forces which are hoarding all the sushi from the world. You will need to travel through different regions on your adventure, battling many foes who get in your way. These aren’t just any regular battles you’d see in any old RPG, these are sushi battles. Sushi battles are a perfect balance of puzzle and action gameplay. The main premise is pretty simple, conveyor belts on the arena will bring in sushi on different coloured plates. Each player has three of their own lanes, plus one lane which is shared between the two. To actually, you know, deal damage, you need to link plates of the same colour as they drive by to eat the sushi and creates stacks of plates. Be warned though, you can only hold a link for seven seconds, any more and the entire stack will disappear. You can then fling these plates at your opponents to deal damage. The higher the stack, the more damage they deal. You can also perform bonus damage if you get same-colour or same-sushi combos. As you eat more sushi, a special meter will fill up next to your HP bar, this is known as the Sushi Jubilee meter. Once this has been filled up, you will enter Sushi Jubilee for a short period. During this time, each attack is worth double, so this would be the best time to fling your big stacks out. Battles are much deeper than that however. The one thing every Sushi Striker needs, is an ensemble of Sushi Sprites. These cute critters each have their own ability to aid you during your sushi battles. You’ll befriend these Sprites at certain points throughout your journey. One will turn all plates on your lanes the same colour of the highest value which is displayed, whereas another will temporarily electrify any plates you throw. To stop you from spamming these abilities, you will need to fill up the ability meter by eating lots and lots of sushi! Additionally, you can bring up to three sprites with you into battle. When your sprites level up enough, their forms can awaken or ascend, akin to Pokémon evolutions, to make their abilities more powerful. Each sprite that you bring into battle will also contribute to your overall strength and HP. The higher the level, the better chance you will have against defeat. After eating enough of a type of sushi, you can then set it as your favourite type. Doing so will unlock special effects for use during battle. These are automatically activated either at the beginning of a battle, or when certain conditions are met, for example, one type will start you off with a half full Sushi Jubilee meter, whereas another will regenerate a bit of HP for every x amount of that type of sushi you eat. Throughout your adventure, you’ll also find a range of different Sushi Lane Gears. These handy doohickeys will actually alter the acceleration and deceleration of your sushi lanes. When you hold a plate still, your sushi lanes will speed up, which can be very helpful on getting a bigger stack more quickly. One gear I am a fan of makes it so that acceleration and deceleration happens very quickly, giving me precise control on how quick my sushi runs away. Finally, no battle would be complete without a range of special items, and Sushi Striker is no exception. 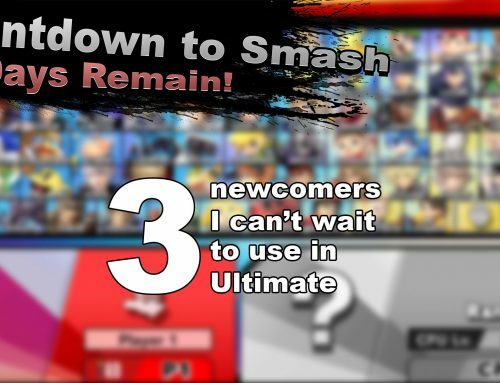 Some battles will also include capsules with items in them, which can provide some useful effects, though these can only be unlocked by linking with more than a certain number of plates. If a bomb appears on your lanes, for example, you can unlock it to send it flying towards your opponent, however, if you just let it drive by, you may get burned yourself. At the end of your hectic battles, you will then get rewarded with a D to S rank based on your speed, score, how much damage you dealt, and your finishing damage. If you complete extra objectives during a battle, such as only eating less then a specified amount of plates, you’ll earn a star too; there are three to earn in each battle. Legend states that if you gain enough stars, you’ll unlock a path to ultra rare Sushi Sprites. At first glance, battle mechanics looked very simple and basic, however, as you can probably see by now, as the game progresses, there is a lot of depth which has been put into battles. Though the gameplay may seem a bit repetitive at times, all these mechanics truly help to make your battles varied. Additionally, most battles are linked together with some very cool anime-styled cutscenes. Though the plot is completely ridiculous, it isn’t something that you wouldn’t expect in an anime series, and I really like that. I especially love the art style too, along with the cast of strange characters. If you want a little break from the main story however, you may want to take a little visit to Shrine Grove, which gets unlocked early on in the game. Here you can visit the sushi restaurant for some juicy gossip, pop by the arena for some multiplayer action, run by the puzzle arena to hone in your striker skills and more. With multiplayer battles, you can choose to play in either online, local, or split screen modes. You can choose just about any Sushi Sprite that you have unlocked in the main game. The puzzle mode however makes things very interesting. This single player mode pits you against a training robot in some frantic puzzling gameplay. The aim is to clear all your lanes (which are not moving) in only five moves, and in under ten seconds. This can actually be fairly difficult, as one wrong move could make the puzzle impossible to solve. It’s still very fun though, plus you may get a few rewards from it. The entire game can either be played with the Pro Controller, a pair of JoyCons, or a signle JoyCon. Additionally, if you are playing in handheld mode, you can also use touch controls. Though the traditional controls work quite well, especially with the option of auto-select (this means that the closest plate with a decent link potential is selected if you cannot make a link), I still find the touch controls much easier for this type of game. If you prefer a slower paced game or cringe whenever someone mentions anime, then it’s probably safe you stay away from this game. 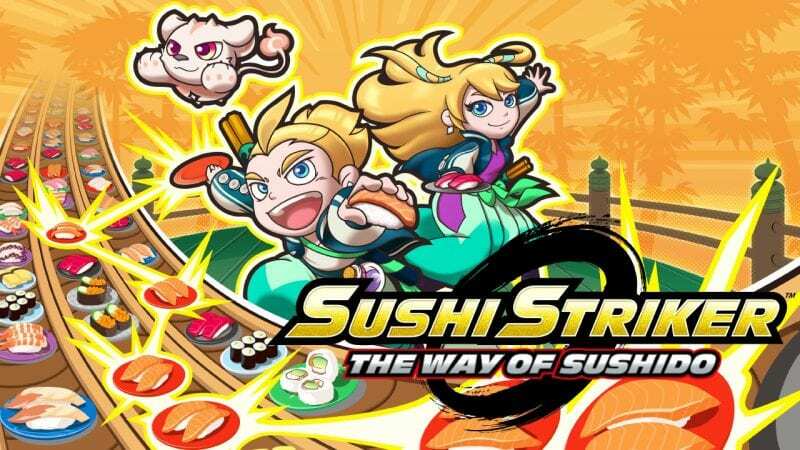 If, however, you’re ‘literal trash’ like me who loves anime, or is looking for a game which incorporates fast paced action, puzzles, and, most importantly, sushi, then I fully recommend Sushi Striker: The Way of Sushido! Sushi Striker: The Way of Sushido releases exclusively for Nintendo Switch and Nintendo 3DS Family Systems on the 8th June 2018.